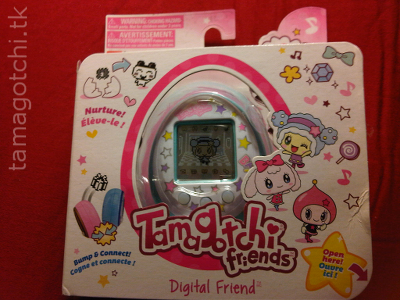 Tamagotchi Friends is an English release Tamagotchi that was sold in Europe and North America. The first edition, released in Europe, had a screen that was very hard to see, and paint that rubbed off very easily. The second edition, released in North America, featured a much better quality screen and supposedly better paint that still rubbed off very easily. 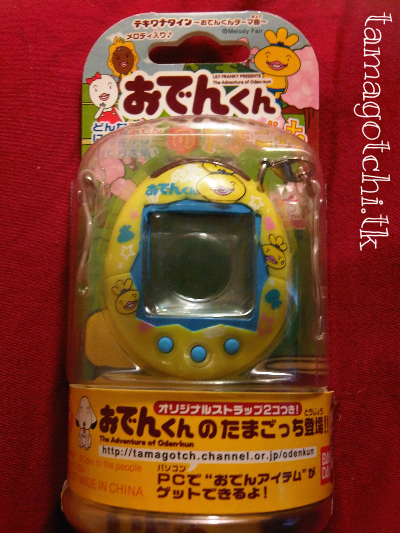 This Tamagotchi is also noticeably smaller than its predecessor, the Tama-Go (which was a main complaint among fans who purchased the Tama-Go), but it is still fairly large for a Tamagotchi. The screen also provides the ability to adjust the contrast in both releases (much like the Family Tamagotchi and the Music Star). 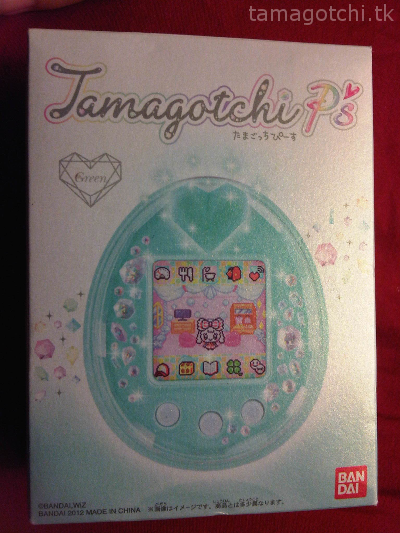 Both editions also featured a new "bump" feature, which replaced the IR port on previous Tamagotchis. The bump feature lets the Tamagotchis connect and communicate. Another unique feature in this Tamagotchi is the ability to send messages back and forth between Tamagotchis, much like a "text message". Despite this unique feature, some users noted how difficult it was to text because the Tamagotchi still only had 3 buttons, making it tedious to type out each letter of the word one wanted to send. 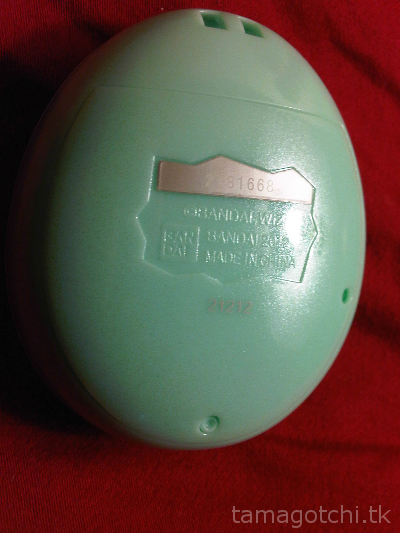 Many complained that Bandai still hadn't released a color screen Tamagotchi for the North American and European markets. 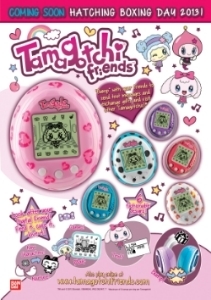 Still, many praised TF because it had cute characters and its simplicity was reminiscent of previous vintage Tamagotchis that many seasoned users love. Many people noted that anyone without previous color screen Tamagotchi experience would most likely love this version of Tamagotchi. TF only saw a limited release at Toys R Us in North America. As of this post they are still currently being sold in stores. Personally, I didn't think any of the shells of the TF were very cute so I settled on the baby Blue stars shell because it was the least ugly in my opinion (albeit a bit babyish). I did enjoy how soft the beeping was, which made the Tamagotchi pleasant to play with. Many of the characters are cute. Overall, there is nothing very complicated about this Tamagotchi, which some may complain about after playing with a Tamagotchi P's and being used to all the capabilities of the color Tamagotchis. I would recommend this Tamagotchi. I give it a 7 out of 10 for cuteness, but the quality of the shells could have been much higher. I got mine for about $20 at the time, but the price has fluctuated between $10-30 on eBay and in the stores. 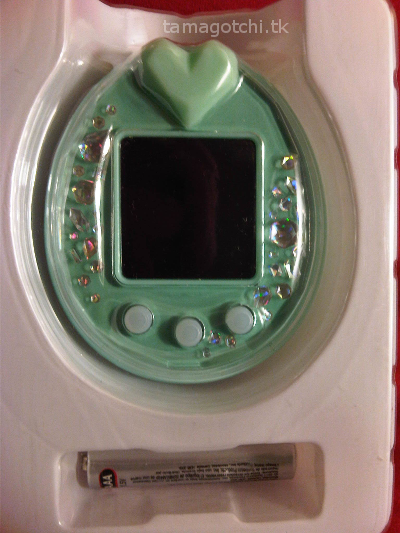 The Tamagotchi P's, released only in Japan, is a very special kind of color screen Tamagotchi. It features a whole new shell design and involves a lot of customizability and special features. One of these features is the cute little heart on the front, which is not just there for decoration. It detaches to reveal a tiny little port where you can plug in what are called "Pierces". 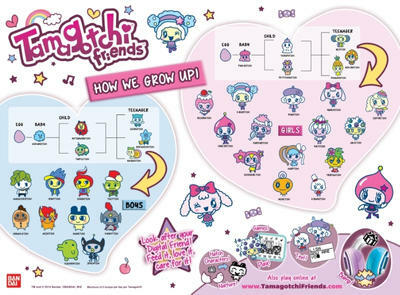 There are several Pierces available for purchase, and each one contains different games and themes that are unlocked when you plug the Pierces into the Tamagotchi. Some Tamagotchi fans have managed to transfer lots of different items using the Tamagotchi's IR port (infrared) with an older cell phone with IR capabilities. 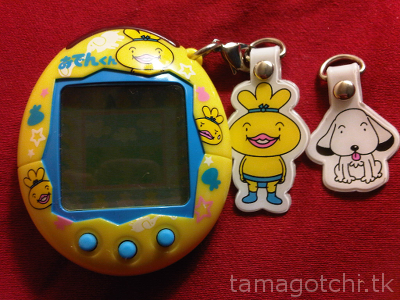 Many users have made their own backgrounds for both the P's and the iD L Tamagotchis. Some people have managed to get the Pierce capabilities to stay stored on the Tamagotchi without the Pierce being plugged in. Others have made patches that can be transferred with the IR port so that the Tamagotchi can be read in English. I would compare the Pierces to the figurines that attach to the Tama-Go and I think Bandai had that idea in mind. Most collectors would consider this to be the most advanced Tamagotchi. Some P's came with extra Pierces, while others came by themselves with Pierces available for purchase separately. The some P's sets includes a Pierce and a multi-colored shell P's. 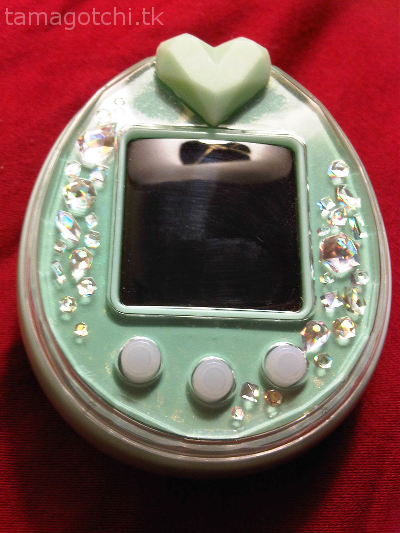 While I like this Tamagotchi because I think it is the prettiest, I don't actually own any Pierces to attach to it, so I can't really comment on them much. 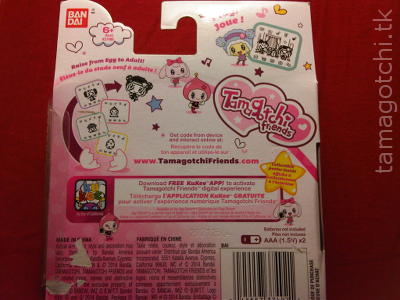 This Tamagotchi also comes in a very simple box, whereas previous boxes were a lot more complicated to open. I got mine for about $55 around the time they first came out and they still tend to go for about that much, sometimes $10 more or less. The cheapest I've seen them lately was for $35, but usually these things skyrocket in price after they have been discontinued, so I wouldn't be surprised if they shoot up in price a year or two from now. Please be patient while I find a chart. The Oden-kun Keitai is based on a cartoon called Oden-kun. It is a short cartoon that involves anthropomorphic foods in a soup. Each ingredient is a different character. I've watched an episode of the show and it is a little weird lol but maybe because it wasn't translated into English XD The characters are very cute and the games are cute as well. One involves pouring gravy on some food lol Another is Oden-kun jump roping. 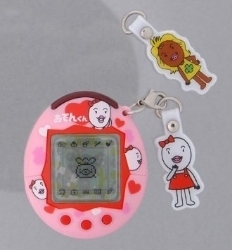 The funniest part about it is that the foods on this Tamagotchi are the same foods the characters are based on, so it's kind of like cannibalism lol What I really love about this Tamagotchi is the fact that there's no antenna! There are two shells, pink and yellow. It is a pretty cute shell design :D I'm not sure if this Keitai connects to any other Keitais aside from the Oden-kuns.